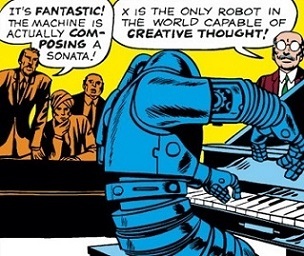 Powers/Abilities: Robot X was constructed to possess a powerful intellect, which included skills such as mathematics and robotics, but also creative abilities such as playing music. It was built from strong metals, and possessed superhuman strength. 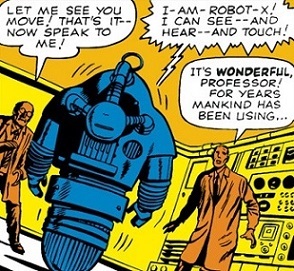 History: (Amazing Adventures I#4) - Robot X was built by Jonathan Wilkes as the first robot who could think for itself. Although the scientific community was thrilled by its capabilities, Charles J. Wentworth of the Daily Clarion began running editorials against Robot X, riling the public against it. Robot X suspected that Wentworth was not what he appeared, but when the public turned on Robot X, he was forced to flee and plan to expose Wentworth on his own. Constructing a robot in the form of a man, Robot X had it obtain equipment and space to begin building an army of robots. Robot X then led them to the Daily Clarion, using them to fight off the robots sent by humanity to defend itself. Robot X reached the Daily Clarion and chased down Wentworth, and unmasked him before the public as a Martian invader, revealing that Wentworth's staff were all Martians as well. With his work complete, Robot X decided that humanity was not ready for him, and could not allow its own robots to remain and sow fear amongst humanity, so it deactivated itself and destroyed all of its robot followers. (Doc Samson II#2) - Robot X wound up in the trophy room of Doc Samson. Samson's associate Tina Punnett attempted to swap its ego core's Wilkes Freewill Nucleus with a new model (Asimov Restraint Unit) so that it could help them out, but when the novice mystic Jack Holyoak tried to help, he accidentally revived it and it started to attack them. The Living Totem attempted to aid the pair, but Robot X brushed him aside. It was finally taken out by Doc Samson with a single punch. Tina still hoped to complete repairs. Doc Samson II#2 claims that Robot X "once destroyed half of Cleveland!" 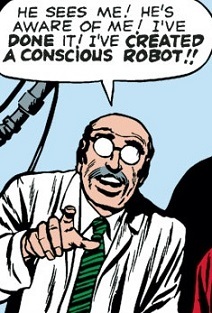 This could be a reference to the battle with the robots in Amazing Adventures I#4. 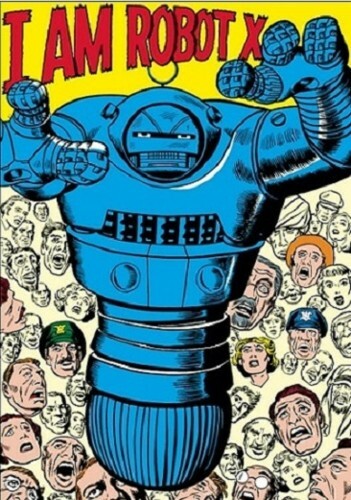 Of course, the one problem with bringing the original story into regular Marvel continuity is that Earth-616 doesn't have a handy supply of worker robots for general use by the public. Charles J. Wentworth wrote editorials in the Daily Clarion which attacked Robot X, claiming that thinking robots would put men out of work. 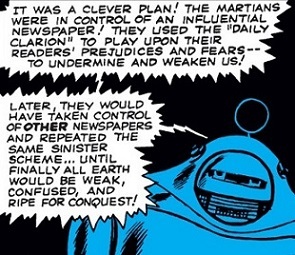 Robot X sensed that he and his staff were actually Martians, and finally exposed his plot to the world, ruining his attempted invasion. Jonathan Wilkes was the creator of Robot X, and became reviled by the public when it seemed that his creation had turned against humanity. Although his faith in Robot X was ultimately vindicated, he decided that he would abandon the field of robotics. To help him expose the Martian plot within the Daily Clarion, Robot X built an army of robots to assist him against the defenses they would meet. His robots fared well against the robots sent to attack them, but once Robot X's mission was complete, he activated a stud which destroyed all of the robots.